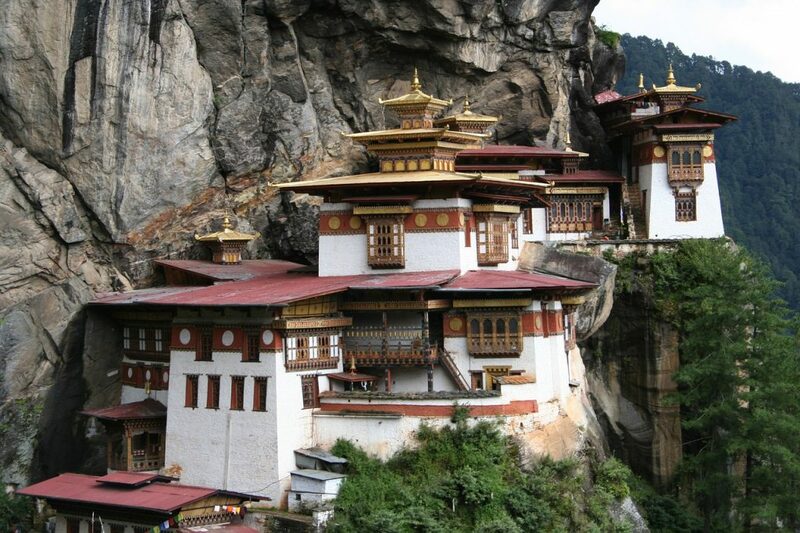 Bhutan, known as the Land of the Thunder Dragon is located within the amazing Himalayan Kingdom of Bhutan. Descending from the highest Himalaya, at just over 7,000 meters to the plains in the south this tiny Kingdom is land-locked by India and Tibet. Through this dramatic landscape rivers run north to south and over the millennia have forged deep valleys and ravines separated by lofty ridges and mountain passes. Each of these valleys have their own unique beauty, rich diversity of flora and fauna along with omnipresent spirituality and one of the most colourful cultures on Earth. It is to this heavenly Kingdom that we can now offer you a tailor-made journey through the western and central valleys of Bhutan with the iconic Six Senses lodges. Collectively known as Six Senses Bhutan are five lodges each with its own unique environment, character and experience. Embracing the luxurious guiding principles of Six Senses let us help you on a journey of self-discovery, to tap into your creativity or improve your state of mind with spa, wellness, healthy eating and comfort in sleep in one of these beautiful lodges located in Thimphu, Punakha, Gangtey, Bumthang and Paro. The lodges range in size and facilities, but the unmistakable essence of Six Senses combined with Bhutan’s beauty, spirituality, culture and nature will positively impact your life, even on your return home. 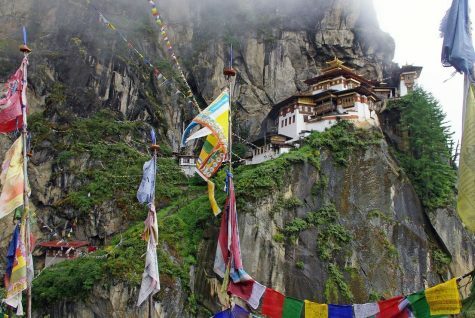 Take a journey through the Kingdom of Bhutan with us and Six Senses. On arrival at Paro Airport you will know that you have arrived at a very special place. 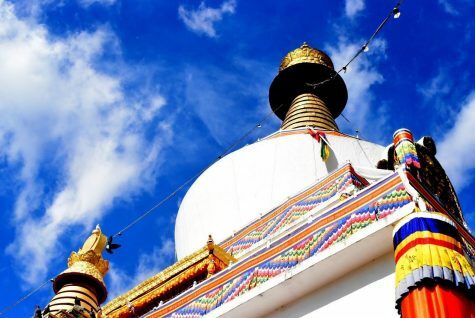 Your journey begins with a drive to Thimphu, the capital and largest city in the country that lies in a steep valley surrounded by rich forested mountains dotted with ancient monasteries and lhakhangs (temples). To this day, Thimphu remains the only capital in the world without traffic lights! Having arrived at 2350 meters you may notice the altitude difference! A light lunch followed by a few light activities such as a swim, a yoga session or a short walk around the lodge's apple orchard will help you start to acclimatise to the altitude change. From the pool you can enjoy the captivating views of Thimphu Valley and of the Buddha Dordenma standing at 52 meters tall across the valley. Awake to the spectacular views of the Thimphu Valley. 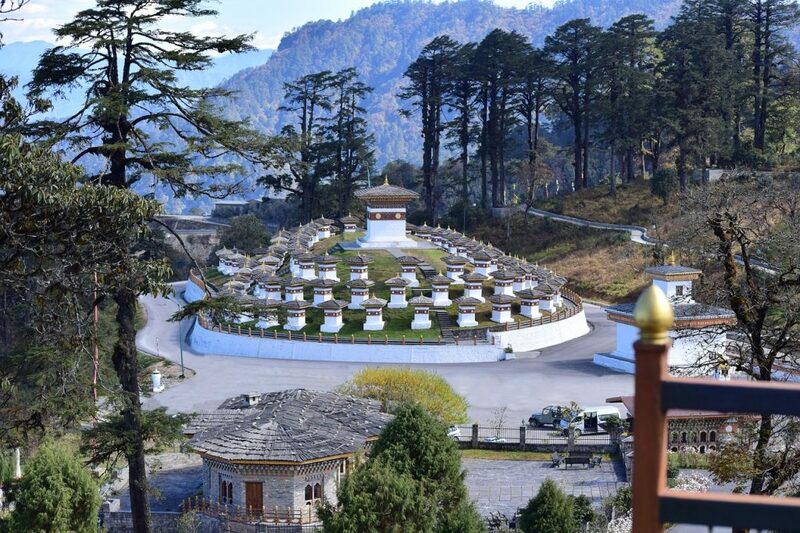 This location offers a comfortable escape from the bustling capital of the Kingdom yet close enough to enjoy some of the many attractions - Buddha Dordenma, Changangkha Lhakhang, The National Textile Museum, Folk Heritage Museum and National Library where local Bhutanese craftsman continue the traditional art of xylography. Visit the capital centred on a quaint clock tower and its surrounding lanes of shops, markets and local restaurants. 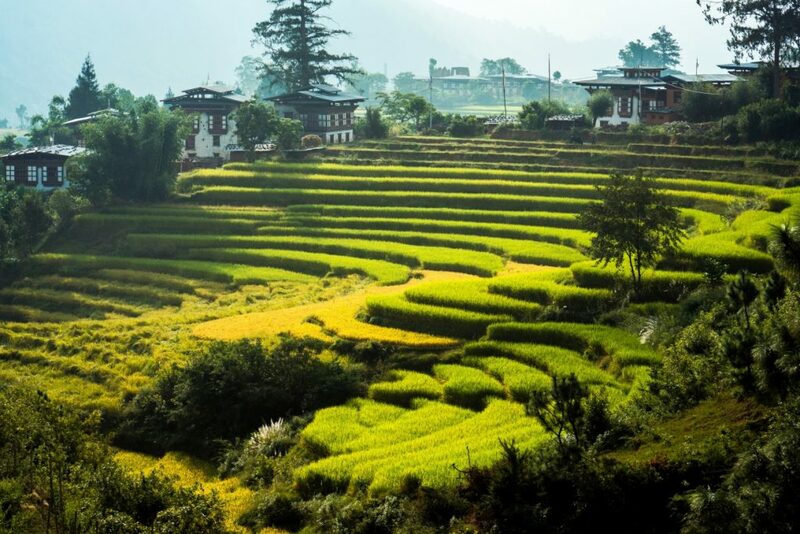 Today you will be leaving Thimpu for Punakha Valley, which is the warmest of the Six Senses Bhutan destinations. The road to Punakha winds and climbs up out of the valley through pine forests, passing streams, waterfalls, stupas and prayer flags and you climb up to Dochu La Pass with its wonderful Himalayan views. To enjoy it is recommended to take an early breakfast, particularly on a clear day, to capture the dramatic views. Before leaving you will receive blessings from the resident monk to ward off the evil spirits for your journey ahead. On arrival at Six Senses Punakha you will be offered a light lunch and can select from a range of spa treatments or use of the wellness rooms available in the stunning lodge. No journey to the Himalayas should be taken without a trek or hike at some point! The freshness of the air, the wide open vistas, the discovery of hidden monasteries, temples and buddhas are just some of the highlights of Bhutan. The lodge at Punakha, referred to as the Flying Farmhouse, is at a lower altitude and so ideal for a beautiful morning hike to the regal Khamsun Yuelley Namgyel Chorten, built to promote peace, stability and harmony in the changing world. Enjoy a picnic lunch, then head onward to visit Punakha Dzong, which means “the Palace of Great Happiness”. Return to the lodge to relax, meditate, and experience a deserving footbath in the spa. Take your breakfast today at leisure, enjoy the valley views from the comfort of the lodge or start your day with a bicycle ride along the river valley discovering the natural beauty of Punakha. A special picnic lunch can be arranged for you to take at the riverside during a well earned rest. After lunch ride onto Talo Nobgang Village and visit Nobgang Monastery, the former residence of a famous Tibetan lama and Dorji Lhuendrup Nunnery, a meditation center for nuns. Talo is also the birthplace of the Kingdom’s four Queen Mothers. Return to the lodge for an afternoon yoga session, some quality time out in one of two meditation rooms or perhaps rejuvenate with a relaxing spa treatment. Continue to unwind with the gorgeous view of Punakha Valley from the library or Living Room at your convenience. After breakfast, you will depart from Punakha travelling through the Dochula Mountain Pass towards Simtokha Dzong, the first dzong in the Kingdom (AD 1629) and which houses an old clay statue of Buddha, together with beautiful wall paintings. Proceed on down to Chuzom (confluence of rivers) Bridge and on into Paro where you can choose to have lunch at one of the local restaurants. Consider a visit to Rinpung Dzong which is a great example of historic Bhutanese architecture and is where the annual Paro Tshechu (festival) is held. When leaving the dzong enjoy a leisurely walk back into town crossing over a traditional cantilevered bridge to connect with Paro town. After all this walking head back to Six Senses Paro and take in the stunning views of the valley. Enjoy light refreshments in the Living Room, or the selection of books at the library, or the outstanding facilities in the Wellness Spa fully equipped with an outdoor sauna and cool dip. All the fresh clear mountain air offers for some excellent sleeps! 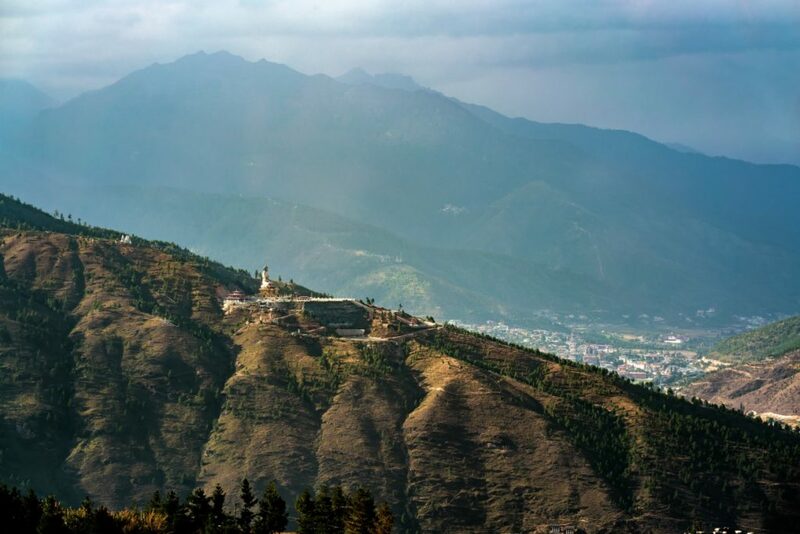 So start your day with a relaxing stroll around the lodge, maybe you continue your walk to Jele Dzong, a small fortress built strategically on a ridge back in the early 16th century to cater to travellers journeying between Paro and Thimphu. On a clear day, the northerly mountain views are truly stunning. This route is also frequented by nomads and yak herders during various times of the year. Walking out in the morning is usually the best time of day as the skies are often clearer than the afternoon. Take a light picnic lunch before returning to the lodge for an afternoon spa treatment, relax by the swimming pool or joining an afternoon yoga session. after dinner take some time out to relax beneath the star-filled sky. Paro Valley is one of the most scenic settings within the Six Senses journey and is also the start of many of Bhutan's treks that cater to all levels of ability from a short hour-long valley floor walk to more strenuous full day hikes, none quite so dramatic as that of one of the most significant icons of the Kingdom Taktsang Lhakhang or Tiger's Nest Monastery. So for the penultimate day in Bhutan start with an energy boosting breakfast before departing for Taktsang Goemba (monastery), With your own guide discover the stories of its history as you hike your way up through wonderful scenery of pine forests colourfully decorated with moss and prayer flags. During cooler weather, clouds often move in, swirl around, shroud the monastery, highlighting its sanctity and remoteness. Return to the lodge for an afternoon of meditation, reflection, peace and tranquility after the long hike. A unique lodge for your final Bhutan experience enjoying valley views that will be forever etched in one's memory. A final immersion into the surrounding history and incredible views enjoy dinner by a 12th century dzong, soak up the enchanting atmosphere with candles casting shadows on the stone ruin walls, whilst live music, private folk dances and a meal, fit for royalty, are served to you. You final departure will be a sad one to leave the “Happiest Place on Earth”. An early breakfast is required as all flights depart in the morning. A 30-minute transfer to the airport will be arranged to coordinate with your personal flight schedule. Farewell to the heavenly Kingdom on Bhutan.